This recipe comes from one of Canada’s most popular cookbook authors, Greta Podleski, from her cookbook, “Yum & Yummer: Ridiculously tasty recipes that’ll blow your mind but not your diet!”. The salad has a cult following and it is easy to see why: it has color, crunch, mega nutrutious creds, great fiber and tons of texture in a super flavorful apple cider vinaigrette with maple and mustard. It is gluten free, vegan, raw and vegetarian to satisfy today’s dietary needs. I was treated to the salad at a recent dinner at my niece Vanessa’s, a gifted cook. 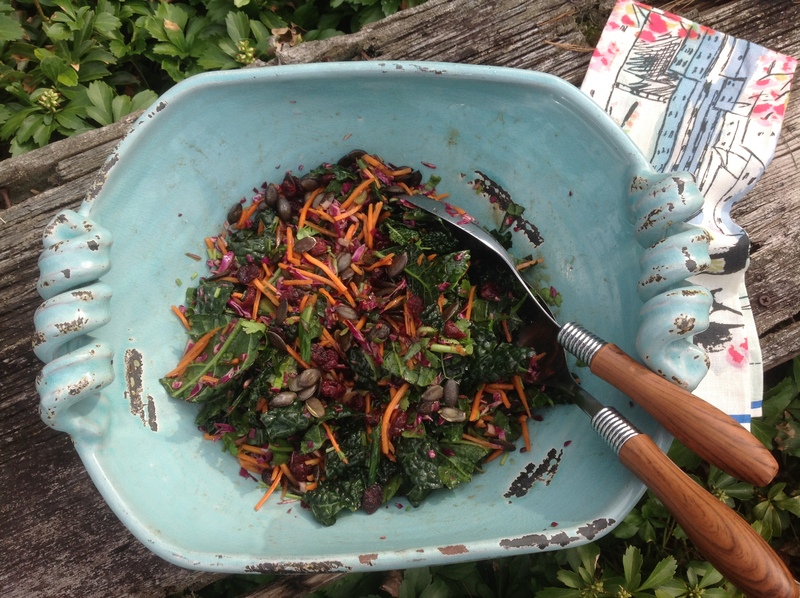 In a delicious meal, it was this salad that we were all swooning over! It has become her go-to potluck dish. The massaging of the kale with your fingers might seem weird but Podleski insists it is a necessary step to tenderize the kale. Use organic kale if you can find it. Place all ingredients in a small bowl and whisk until blended. Set aside until ready to use. 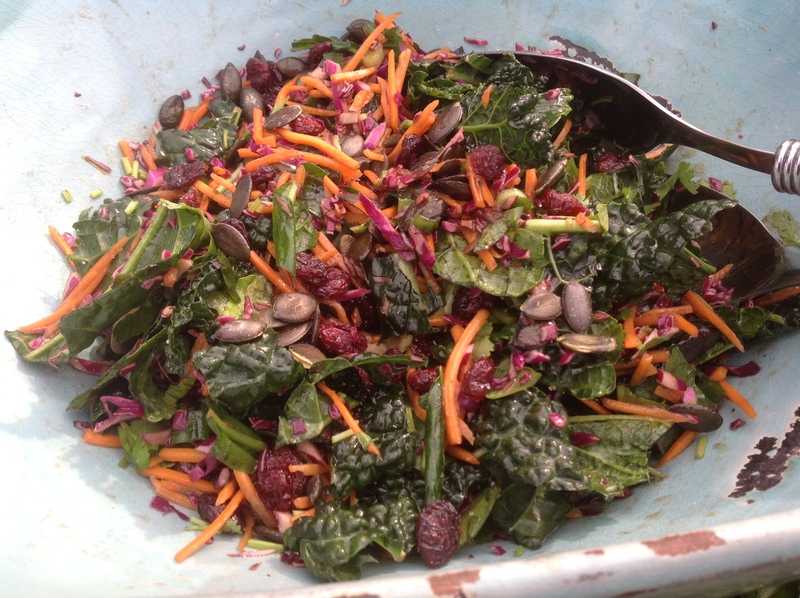 This entry was posted in Recipes and tagged kale and coleslaw salad, Kale salad with cabbage, kaleslaw, yum&yummer kale salad by Johanne Lamarche. Bookmark the permalink.